This is the perfect introduction to espresso for those who are unsure they’re ready for the full-throttle intensity of a straight-up shot. 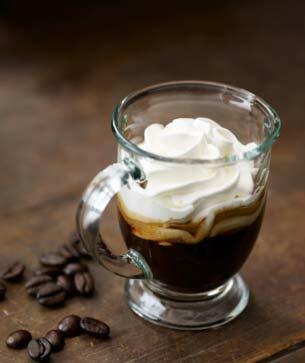 The delicate dollop of whipped cream softens the rich and caramelly espresso flavours so exquisitely, you may choose to forego adding sugar altogether. Welcome to the club, espresso lover.